One day you drive down the road and realize your steering feels off. You think, “Why does my car pull to the right?” If you experience too much "play" in your steering, feel your car shimmy or vibrate as you drive, or recently had a bad experience with road construction or pothole damage, you may need a professional car alignment near Fairfax Station, VA. The right side of a car is typically subjected to more irregularities in road-surface conditions than the left, which places constant strain on the right side of your vehicle as you drive. 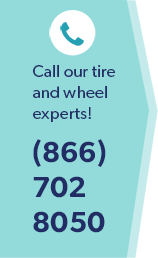 See your local auto repair and service shop for a complimentary tire inspection. This may reveal the cause for your car to pull to the right. The tires should be inflated to the pressures recommended by the car manufacturer. The sizes of the tires should be identical. Both the name brands and tread designs of the tires should also match exactly, to ensure uniform diameter and traction. Ensure these basic conditions are met before exploring more complex possibilities. If no problems are identified with your tires, brakes or suspension, you need a car alignment near Fairfax Station, VA.
Vehicles with independent rear suspension need a 4 wheel car alignment near Fairfax Station, VA. When the rear suspension goes out on these vehicles it can affect safe driving operation. A dragging brake caliper can also cause a car to pull to the right or left. With tire conicity, a manufacturing defect in your tire causes a hard pull in one direction. If you experience a sudden tire separation, air has forced the belts to separate from the tire. This is very dangerous and tires can unexpectedly fail. Very often a shake or shimmy may occur, especially at lower speeds. Don’t waste your money on a front end alignment with badly worn tires on your vehicle as the alignment will not resolve the problem. Better to get a full alignment performed when you replace your tires so the entire suspension and tire systems are in optimum condition as recommended by the manufacturers. No matter the cause of your call pulling right or left, it is important to take your vehicle right away to a professional automotive facility for a proper realignment. The ASE-certified, AAA approved professional mechanics at Wiygul Automotive Clinic use the right tools and diagnostic equipment to return your vehicle to the preferred manufacturer alignment settings, and get you safely back on the road in no time.